A thorough fall leaf clean up is very important to residents in Woodbury and Oakdale, MN. 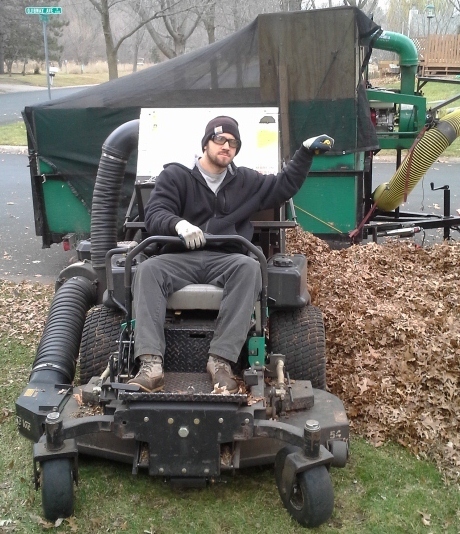 After taking care of your lawn all summer the last step for winter preparation is a good fall leaf clean up service. A thorough leaf clean up is critical to your lawns good health and rebound in the spring; because when leaves are left on the lawn all winter; the weight of the snow will push them down into the grass and soil of your lawn encouraging winter mold and other diseases. At Hansen’s Lawn Care we start the leaf clean up service by blowing any leaves or debris from your rock and mulch beds into your lawn. We then follow up with our commercial mowers with bagging systems to remove the debris from your lawn. Simultaneously we also mow the lawn at the same time. We have competitive rates and we’ll match any competitors price for leaf clean up. So give us a call; we’ll get rid of your leaves for you!